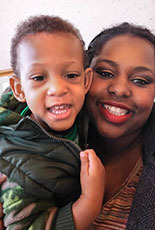 Chrystal credits the guidance and therapies of her Easterseals team for her son's amazing growth and health. Read more. 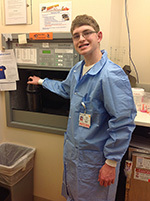 Despite challenges due to low vision, Nick has become a valued member of his team at Children's Hospital of Wisconsin. Read more. 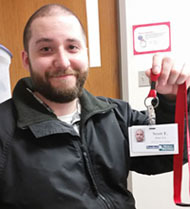 Before Scott attended Project SEARCH, he wanted to work in a warehouse. Now he has a full-time job at Froedtert Hospital! Read more. 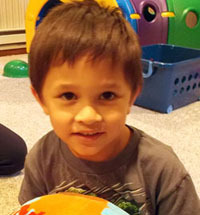 Delano is a fun-loving kid whose great qualities have been enhanced through reducing his communication frustrations. Autism therapy has helped him increase his social skills and make friends. Read more. "Through therapy, Roman has grown 100%. There were changes right away in his behavior. His frustration level went way down. We've discovered this sweet, funny energetic boy. And he is so smart! His future is full of possibilities!" Read more. "He's the hardest working man in the hospital, there's no doubt." 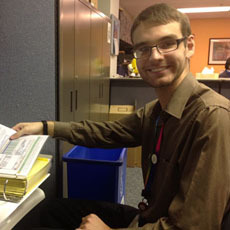 This is a typical remark made by Community Memorial Hospital (CMH) staff when they talk about Dan, a Project SEARCH intern. Read more! This letter comes at the most appropriate time, as I know that Project SEARCH has taken new interns under its wings. My mind drifts back to a year ago, when we first started, and I had no idea what would lie ahead. Read more! After serving for 20 years in the military, both Matt and his wife Lisa recently found themselves unemployed and living in their car. Read more! Like many people, Kenny had always held various part-time jobs, and he knew that if he wanted something more long term, something he could call a career, he would need to gain new skills. Read more! 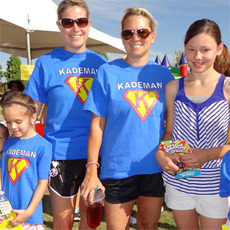 Kavi was born with what doctors thought was low muscle tone. He spent his first five days in the Pediatric Intensive Care Unit while they tried to find a cause. Read more! What it's Like to be Me! Zach is 10 and lives with autism. There was a time, not too long ago when if you asked him to tell you about himself it was difficult, because at that time he had a hard time even forming a complete sentence. Read more! 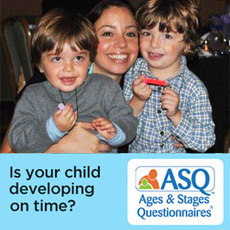 By the time Daysi Jimenez’s son Ben was 18 months old, she was starting to feel uneasy about his development. Read more!